After nearly two years at dxw, the time has come for me to move on. I have not been particularly good at writing blog posts for dxw. In fact, writing blog posts used to be a big part of a previous job, and then I only wrote about two per year. So when I was asked if I would write a goodbye blog post my response was instant: Can I stay? Often we let years go past without really knowing what we spent them on, but the (almost) two years I spent at dxw have been packed full of interesting and rewarding challenges. I’ve learned a lot, shipped a lot of code, and managed three different projects. The most rewarding thing, however, has been the friendships that have developed over the years. And none is more exemplified by the Stonehenge coaster. Last year, dxw moved from Zeus House to Hoxton Square. 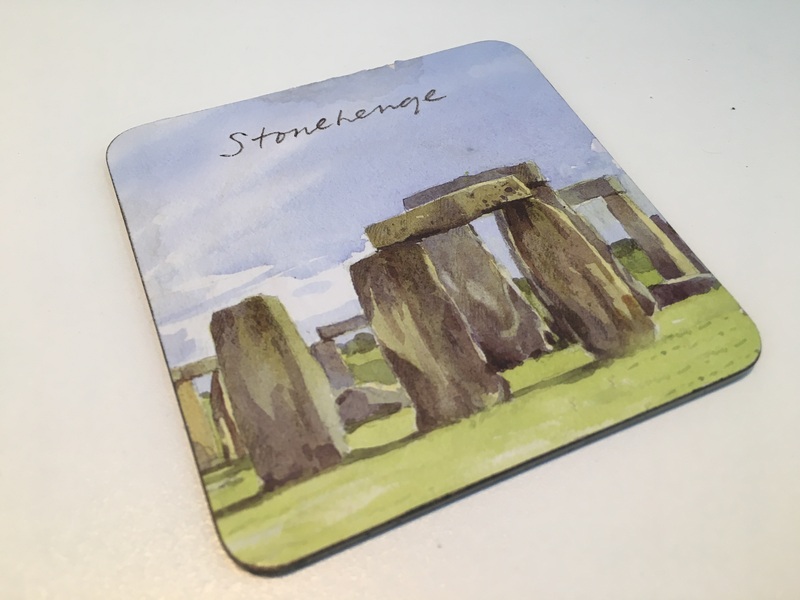 We took a lot of odd things that had accumulated in the old office, including a coaster, showing a commemorative watercolour of Stonehenge. I didn’t really want this coaster, so I gave it to Tom Hipkin. Tom didn’t really want it either, so he put it in my coat pocket. I found it on the way home, and the game began. This coaster has been going back and forth for about a year now. It has been sent through the post. It has been in bags, coats and jumpers. It has been stuck to the ceiling. Sewn into a chair. Its image has replaced avatars on one of dashboards. Only last week did I discover there are actually two coasters. I’m not sure how I missed that. It opens up many new and exciting opportunities. Sadly, these are not opportunities for me to pursue. I have to take on the new challenge I have set myself and build my own business. I’m really excited about the future and hope many of our paths will cross again.